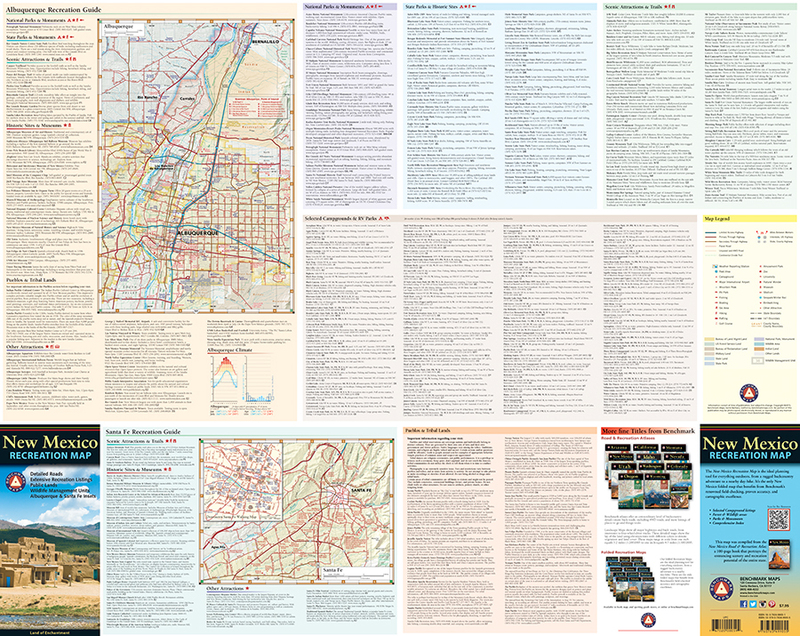 The New Mexico Recreation Map is a folded map version of the Recreation Guide pages within our New Mexico Road & Recreation Atlas. 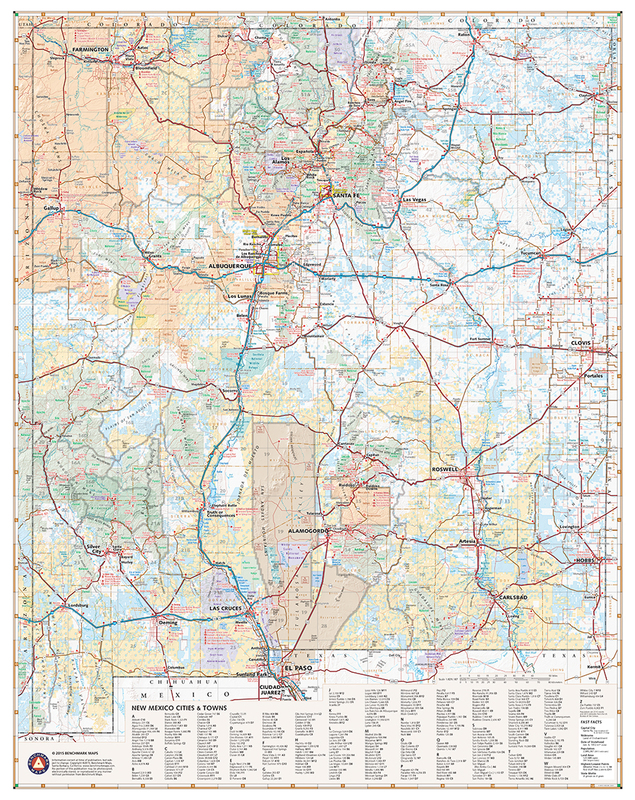 One side provides a full state map that features Public & Tribal Lands, extensive highway detail, point-to-point mileages, recreation attractions, campgrounds, parks and wildlife areas, fishing access points, hunting units (GMU), and an index of cities and towns with populations and grid references. 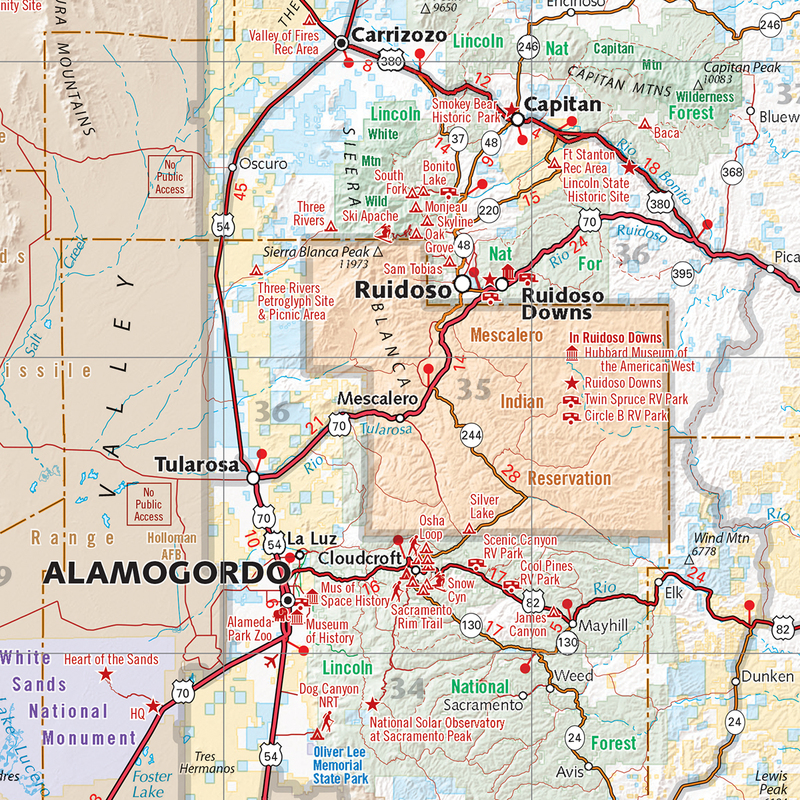 The reverse side features recreation guides for Albuquerque and Santa Fe, and includes statewide categorized POI listings with helpful descriptions, current contact information, and map grid references. ISBN: 9780783499055 Cover:4.25" x 9" Sheet: 34" x 27"